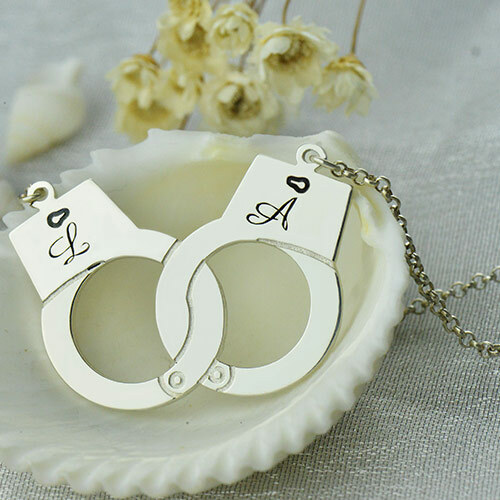 Valentines Day Present - Handcuff Necklace For Couple Sterling Silver - A perfect personalized gift for your girlfriend, gift for Mom, Valentines Day or any occasion! 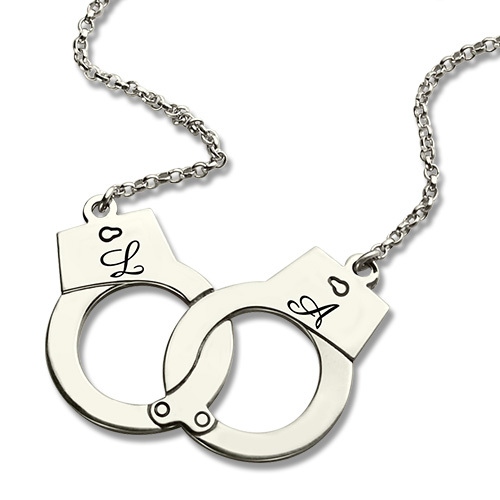 Wear the Sterling Silver Handcuff Necklace to show off your naughty side, in a stylish way. 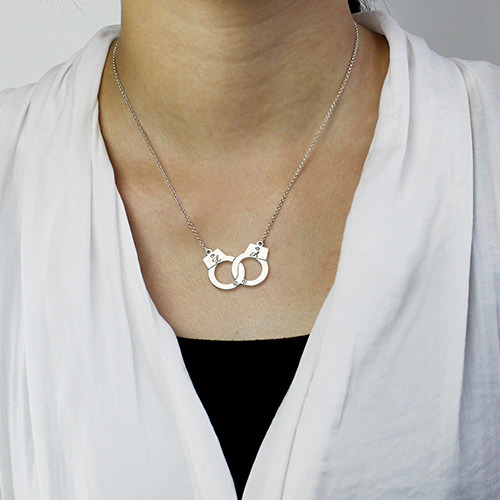 Featuring a handcuffs that select two initials for each one on the top of handcuff.Add a little passion to your every day style with the exquisite Sterling Silver Handcuff Necklace, pair it with other handcuff jewelry to create a unique jewelry collection.